Dargan Landscape Architects hosts “Sustaining your Site” at the International World Congress Center on February 7-9 during the Georgia Home show. Questions about organizing your home site for maximum energy savings using solar and alternate energy forms, water harvesting and composting are most sought after topics. We’ve been busy producing a display from a recycled Palladian arbor and forced the bulbs for hte exhibit beginnign in October. Today (5 days before event) scilla, muscari, crocus, hyacinths and dwarf iris and slowly making their way into the world of color encouraged by our heat lamp and heating pad. Wish us luck! Climate change websites I like thanks to the Climate Change Project. 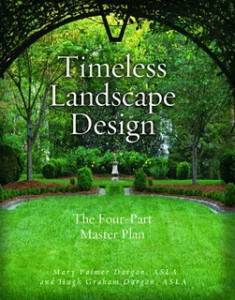 I’m at work on my next book about Aging in Place in Your Landscape, and building on questions I’ve heard while lecturing on Timeless Landscape Design. 95% of Homeowners who are now 60-65 will stay on their property rather than move to a retirement community. So why not customize your landscape to fit long term needs? Harvest water, utilize solar and alternative energy forms, grow vegetables, compost, create a retreat for regeneration or do active forms of recreation like pilates and yoga all seamless designed within your existing landscape. Baby boomers, this is the place for you!